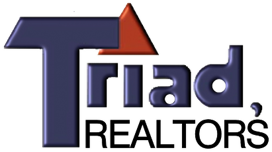 The staff at Triad Realtors are excited to help manage your property. Integrity and trust are key components to creating a lasting relationship between a property owner and a property management company. We strive to provide the best service to our owners and tenants. By having integrity in handling all aspects of our business, we build trust with our clients. Our knowledge of the market and years of experience help us to provide the most effective service possible. We use cutting edge technology and software to help us in all aspects of property management. When managing your property, our goal is to find quality tenants who will treat your property with respect. Our advertising ranges from postings on multiple websites to a rental list that can be picked up in our office. We have strict screening procedures when finding tenants. Updated legal contracts are used for tenant contracts in order to help protect your assets. Once tenants are placed, we will collect rents and handle regular maintenance requests. From the front desk, to accounting, to property managers; the Triad Realtors team is here to help you with your rental property!